No trip to Laos is complete without trying Lao coffee, especially for the coffee lover that should not miss one of the best coffee in the world. Laos is one of the several countries that produce organic with high-quality coffee bean. In every year Laos produced more than 20,000 tons of coffee which is 95% of them is harvested Bolaven Plateau. Even coffee bean mostly plants in the southern part of Laos, The capital Vientiane has been home to western-style coffee since 1990s and even growing more in today. 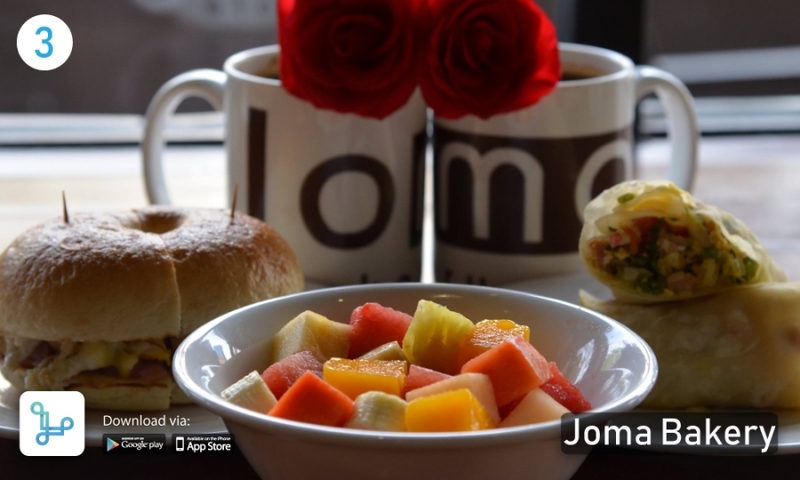 Many of the greatest local coffee shops serve the authentic taste and the aroma of premium Arabic and Robusta coffee. If you don't know where is the best cafe in Vientiane, here is a short cut for you. Let’s take the Loca and explore! 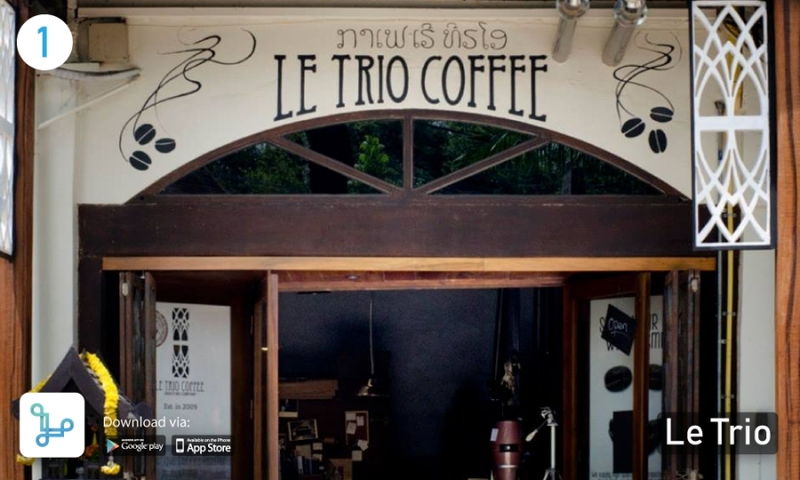 For the coffee lover who wished to try 100% of Lao Arabica and Robusta coffee blend must try Le Trio, a first boutique coffee roaster in Vientiane. The café established in 2009 by a Lao-French couple. From the small coffee shop, Today, Le Trio has become a roasting company. If you attracted to the taste of the Le Trio coffee, the shop also has multiple types of coffee beans available for purchasing. Apart from the coffee beans, Le Trio also sells various sizes of an espresso machine, coffee grinder, brewing equipment, coffee cups, and barista accessories. So you will definitely find everything about coffee in one place. Le Trio opens every day from 8AM to 5PM. The shop located in Sethathirath Road near Nam Phu Square. 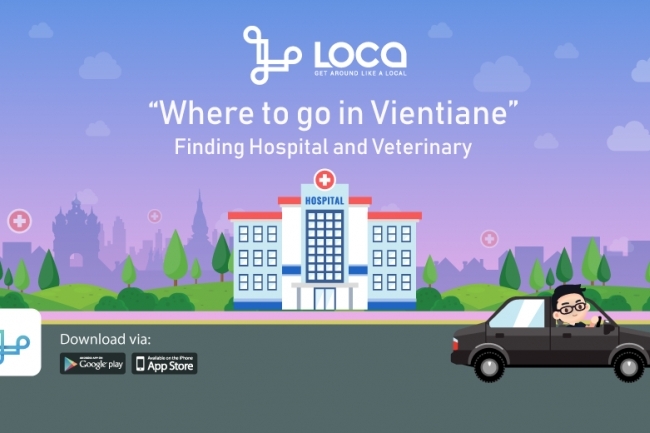 Taking Loca there would be one of the easiest choices for you to avoid sunburning and the car park issue in Vientiane city. A Lao coffee shop that makes Lao coffee taste like in Australia. Naked Espresso is one of the most popular coffee shops amongst the expat. Naked espresso was launched by a young Lao barista named Pop who brought the knowledge and the great taste of coffee from Australia to Vientiane. In here you can find a long list of Australian coffees such as flat white, short and long black. The success of Naked Espresso demonstrates by launching five branches in Vientiane including 30 ML Espresso & Bar, Bar2Bro Cafe, and Crack Roaster. 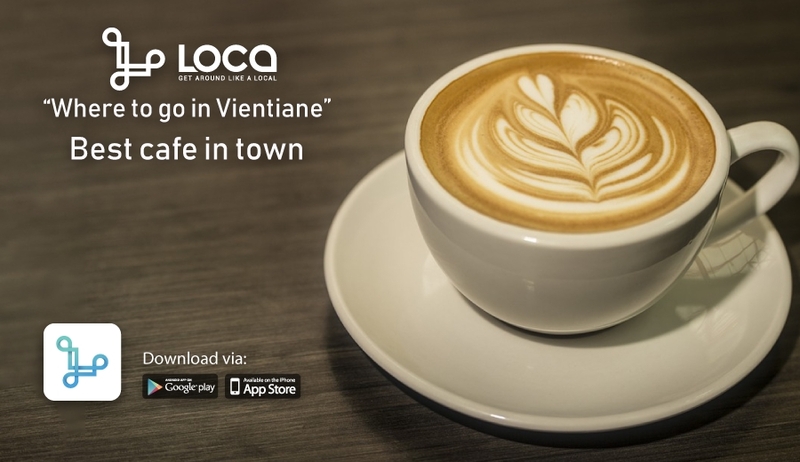 With the LOCA service, our ride can take you to any branches in Vientiane. 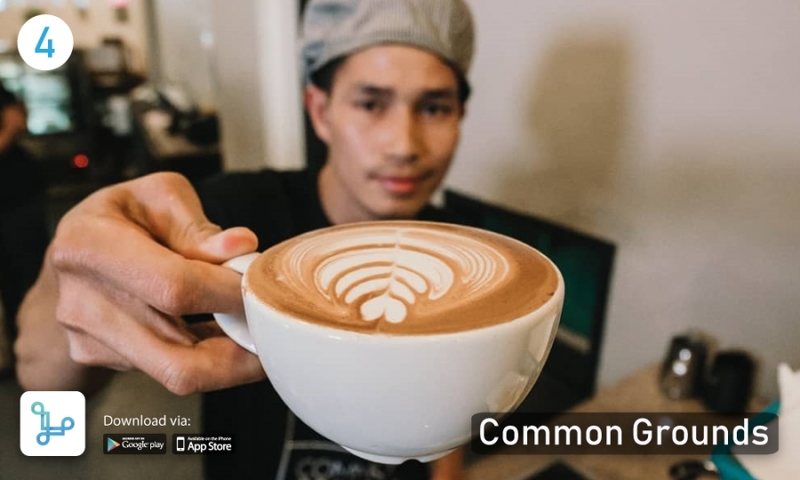 Common Grounds allows the coffee lover to enjoy coffee more than just the taste. The visitors can actually sit and watch the coffee being roasted in house. Coffee beans in Common Grounds are specifically sourced from five different regions in Laos. Moreover, you can expect the beautiful latte art in here because the national latte art competitor is a barista. The cafe opens every day except Sunday, from 7 AM to 8 PM. It located in Chao Anou Road, Ban Watchan which is close to Mekong river. So, if you wish to appreciate the art of the coffee more than just the taste, Loca service is always available to send you to the right place. Nothing is better than a cup of coffee and a doughnut. If you wished to enjoy a soft and fresh homemade doughnut with a cup of hot coffee, Dough & Co got it for you. Today Dough & Co offers the wonderful doughnut in three flavors including fresh vanilla, Lao coffee, cinnamon. The doughnut is freshly made every day using pure butter and no preservations and food coloring. Serving with a cup of high-quality coffee that could make your day. 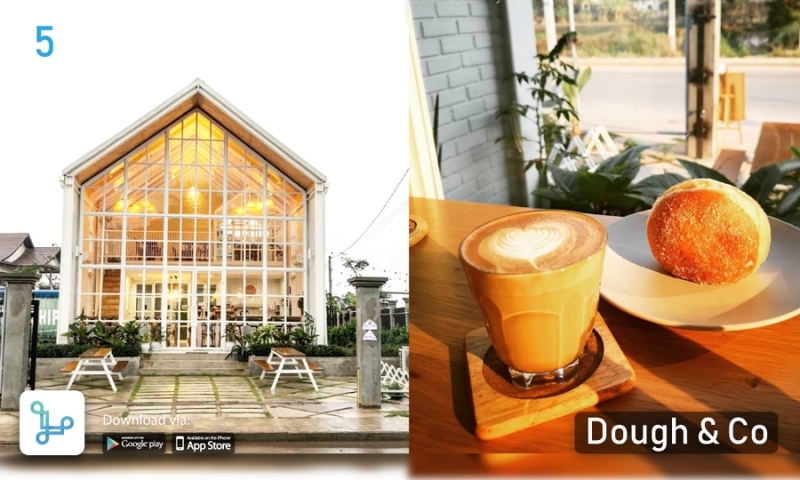 Apart from the taste of fresh doughnut and good coffee, you will be impressed with the lovely decoration of white brick wall, large glass window, and wooden chairs. The cafe is located at Sangwuiy Village where is 7.9 kilometers far from the city center. However, you don’t even have to worry because traveling with Loca will make your trip even more comfortable and faster.